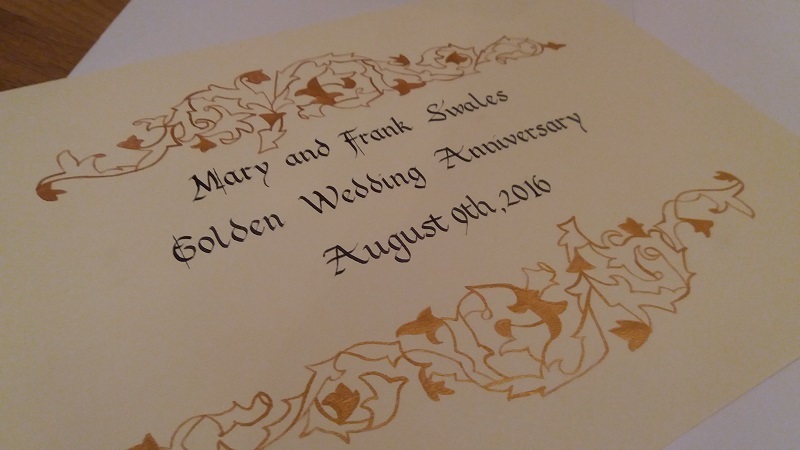 Creative Calligraphy has been commissioned to lend its expertise to a wide range of private and public commissions. 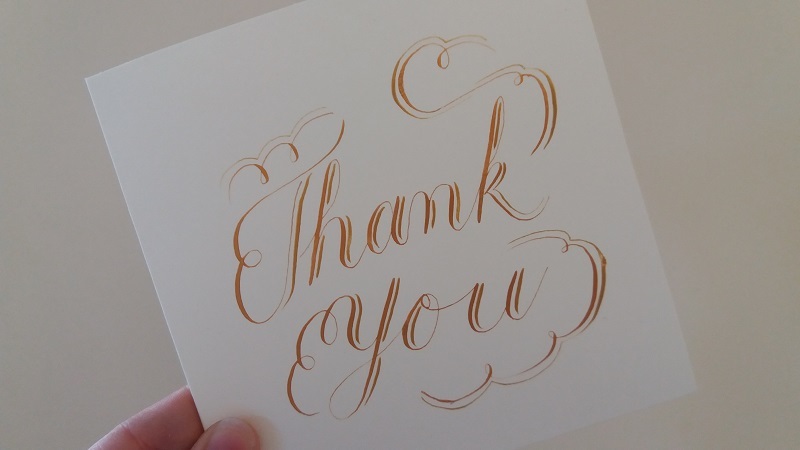 From handwritten readings, poems and letters in beautiful calligraphy scripts, to lettering on wooden boards and mirrors, calligraphy can be adapted for many uses. Angela is also involved in a number of creative partnerships, working closely with Manuscript Pen Company Limited, The Pen Shop and The Cultural Spring. One of its proudest achievements was being involved in the creation of decorative panels at Bede Metro Station in Jarrow, South Tyneside. 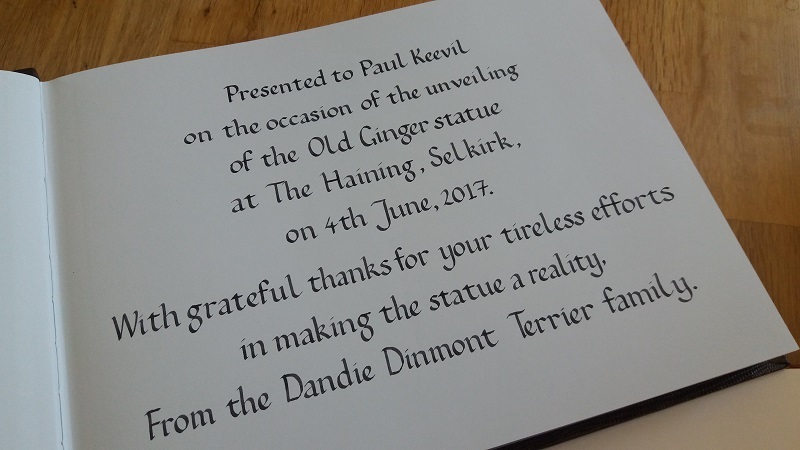 The panels reflect the history and heritage of the area and Creative Calligraphy was asked by artist Mark Gibson to copy three poems by local writer Tom Kelly and a passage from The Venerable Bede’s Ecclesiastical History of the English People in uncial script. 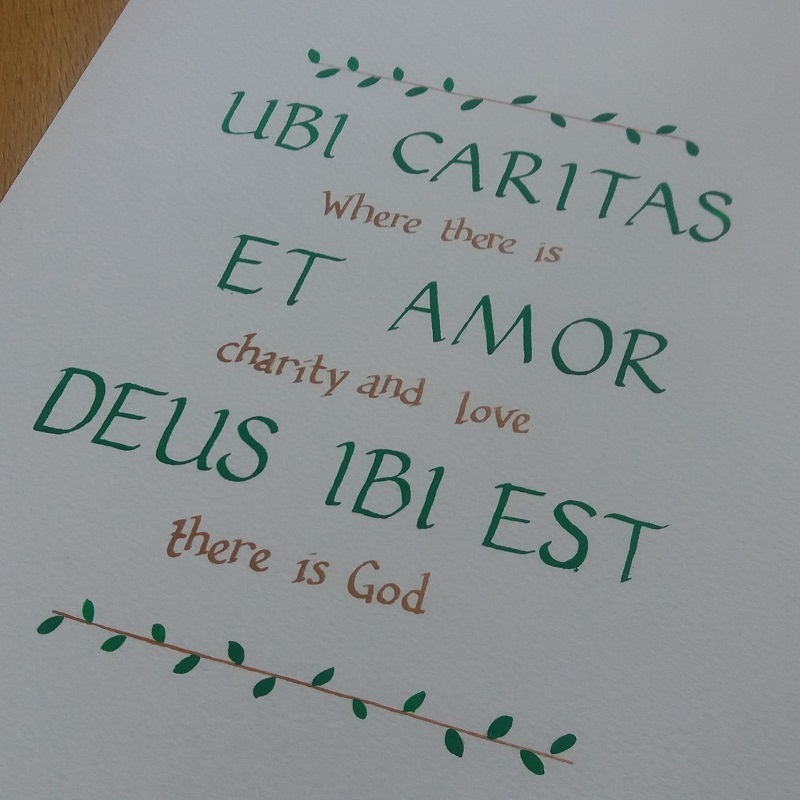 The calligraphy was then digitised and added to artwork created by Mark and various community groups. The final piece was entitled Convergence. To read more about the project, read my blogs here and here. I’d like to thank you for your beautiful calligraphy contribution to the Bede Metro Station art installation titled Convergence. 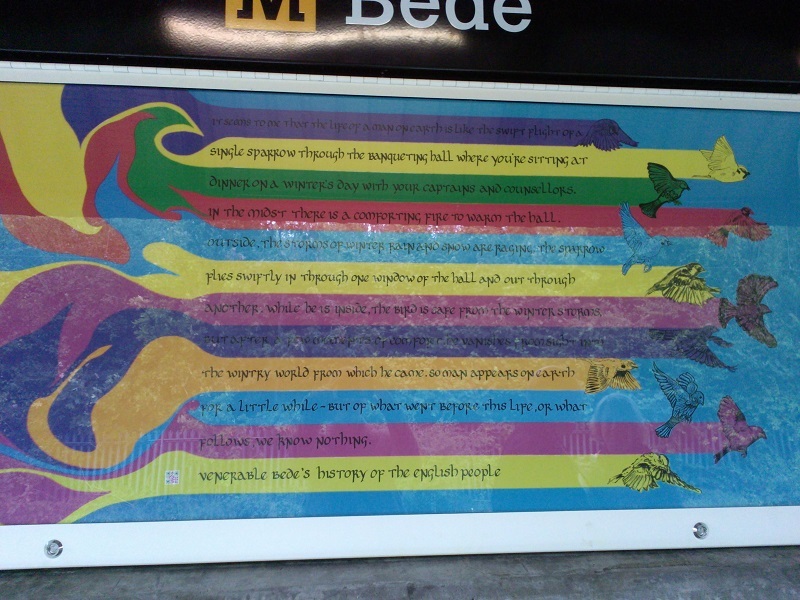 Your calligraphy works perfectly with the poetry of Tom Kelly and my abstract paintings which form the foundation of the panels at Bede station.